The educational experience of our students is a top priority in our department. 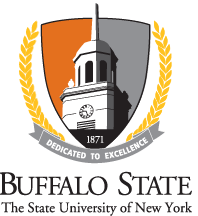 To help monitor the effectiveness of our curriculum and the quality of a Buffalo State's Mechanical Engineering Technology Degree, we have formalized and upgraded many of the assessment and evaluation activities which have been a part of our educational program for many years. To instill in our students a high-quality basic education in mechanical engineering technology fundamentals. To develop in our students the skills required to apply engineering fundamentals to the analysis, synthesis, and evaluation of mechanical engineering technology problems. To foster in our students personal development to ensure a lifetime of professional success and an appreciation for the ethical and social responsibilities of a mechanical engineering technologist and a world citizen.